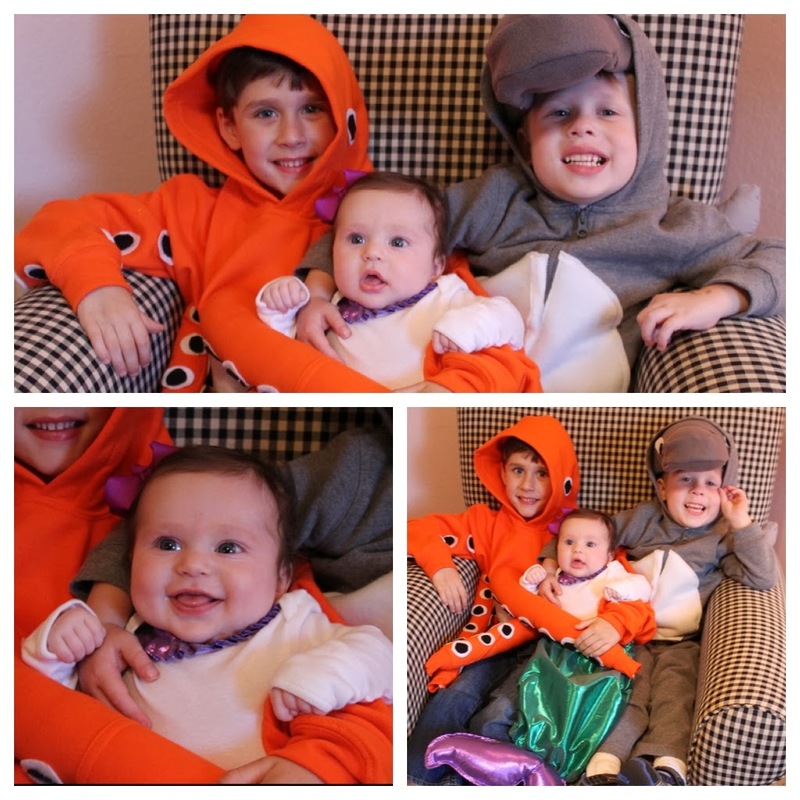 Happy Halloween From The Gamel Family!! Last year, the boys were superheroes. This year's theme was "Under the Sea." Bennett chose to be a dolphin. 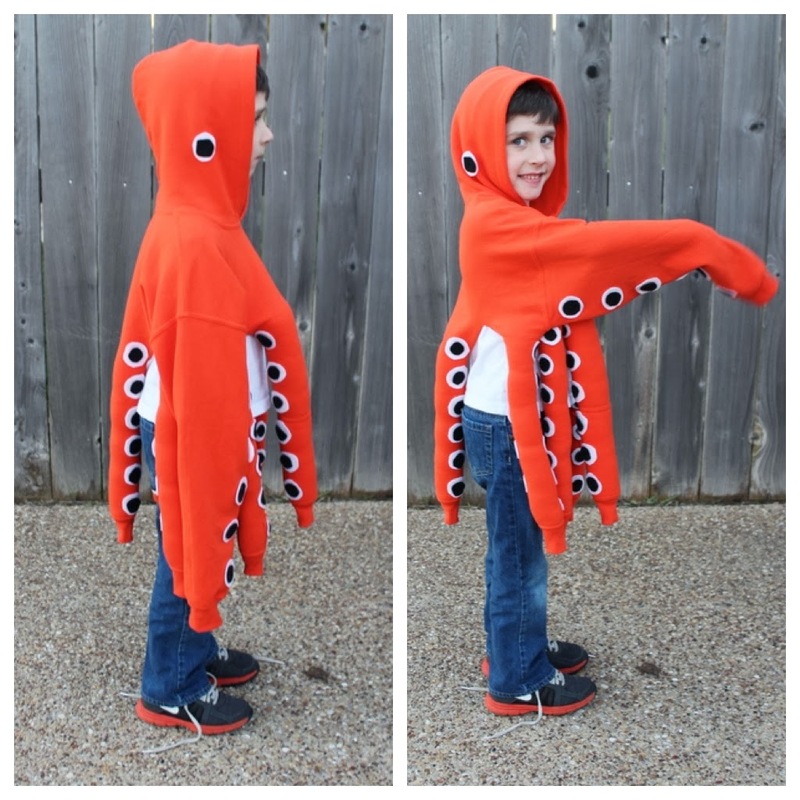 Oliver chose to be an octopus. 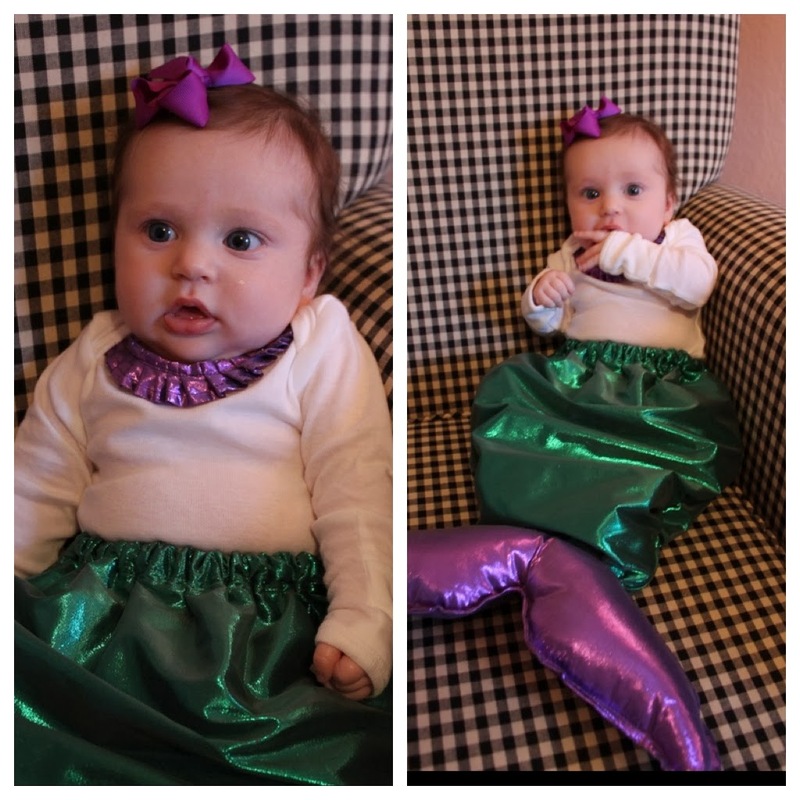 Avonlea was a mermaid. Our little fish-girl. She didn't mind at all being placed into a fin-suit. I found the idea for this costume on the Internet and it turned out so well! It's almost creepy how much it looked like an octopus when we were done. Oliver's choice in sweatshirt was his favorite color: orange. On one level, Bennett's costume was super easy. But, on the other hand, it was a challenge. 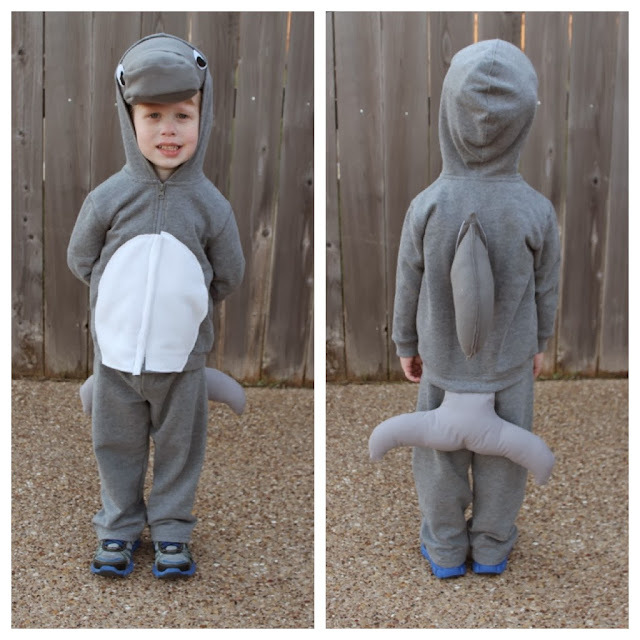 The belly, fin and tail were nothing more than a sweatsuit, fleece and stuffing that we sewed together. But the dolphin head was fairly difficult. We worked on it, for what it seemed to be, forever! I love how Oliver instinctively put his hands inside his over sized sweatshirt and gave hugs with his tentacles. 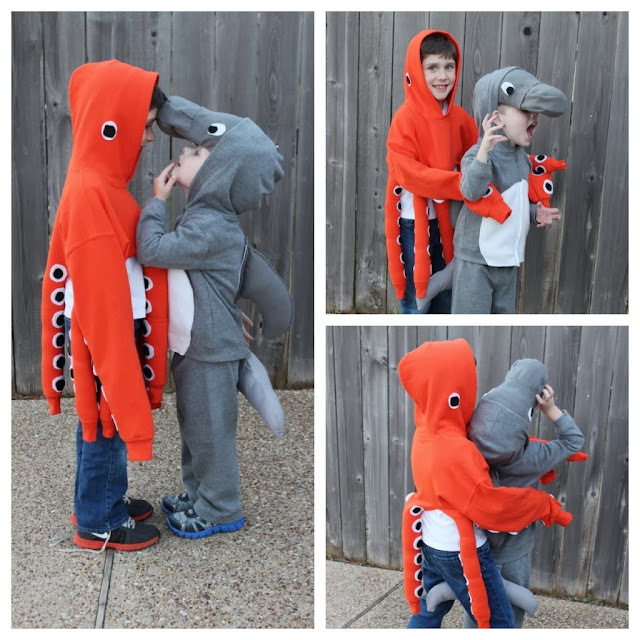 I could tell he really loved channelling his "inner octopus." Daddy with his sea creatures. Under the Sea with Mama.